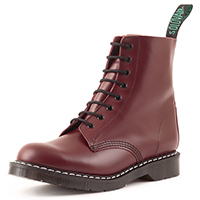 Northamptonshire, England, has a proud history of shoemaking dating back to the thirteenth century. Originally this was due to its abundant supply of oak bark and proximity to water, plentiful supply of materials (a large cattle market for leather), and its central location for trading links, including London. Up until the end nineteenth century boots and shoes were normally made at home by individual cobblers, who were paid only for the work they had finished when the collector came to the door with his cart. This strategy was not very lucrative, and job security was low. In order to stabilize and grow revenues , in 1881 five men living in the town of Wollaston, banded together to form a cooperative – a commercial entity owned and run by the men working to create the products – called the Northamptonshire Productive Society (NPS). Their establishment was a dove house on Thrift Street, and NPS was locally referred to as ‘the Duffers’ . In their first year of operation they were fortunate to win a contract with the government, providing them a strong base of operations. 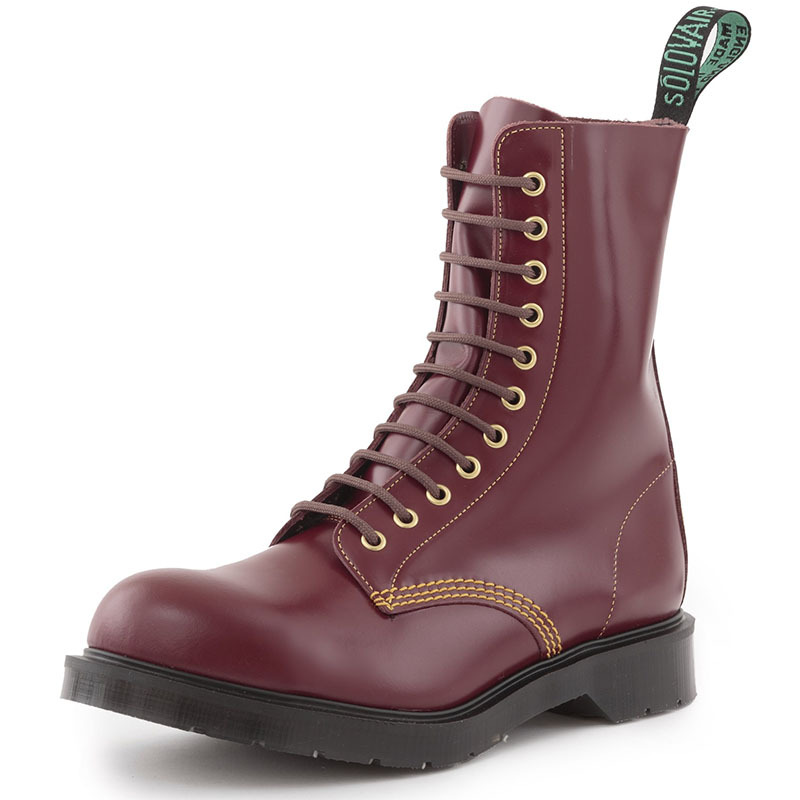 As the Industrial Revolution pickup up strength and spread across England, demand for high quality, durable boots and shoes grew quickly. As a result, NPS expanded rapidly, and by the turn of the century NPS had grown in excess of 80 employees. In order to accommodate their expanding workforce, NPS moved to a larger bespoke factory on South Street around 1900, which they occupy to this day. 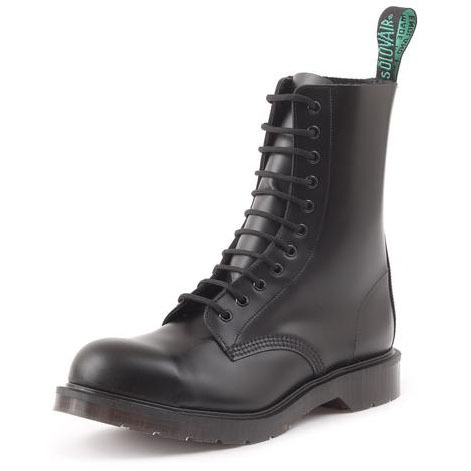 Boots and shoes have been made at NPS utilizing various construction methods, including riveted and stitched, adhesives, vulcanized and lastly goodyear welted, which is the preferred and current method of construction. In the 1950s Austrian Dr. Maerten (subsequently anglicised to Dr Marten) and his partner Mr. Funck created the now famous cushion sole. Shoe manufacturer R. Griggs Group Ltd. had the of the exclusive rights to manufacture the boots but did not have the technology. He therefore sought out the finest factories to manufacture his footwear using this air cushion sole. NPS was a clear choice and in 1959 the first English pair of boots with air-cushioned soles was lasted in the NPS factory. This started a production run lasting nearly 40 years as NPS manufactured Solovair (Sole-of-Air) boots and shoes under license. 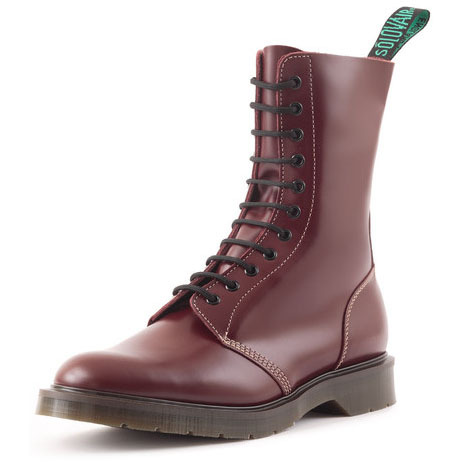 These boots were then branded and presented as "Dr Marten by Solovair". 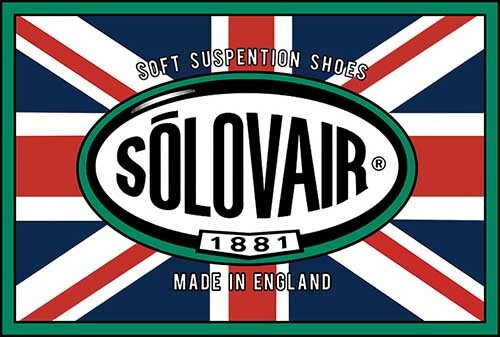 NPS patented the name Solovair in 1995 and continue to produce the famous heat sealed brand using the same lasts, leather cutters and machines used to create the first original Dr. Marten suspension soles in the UK. 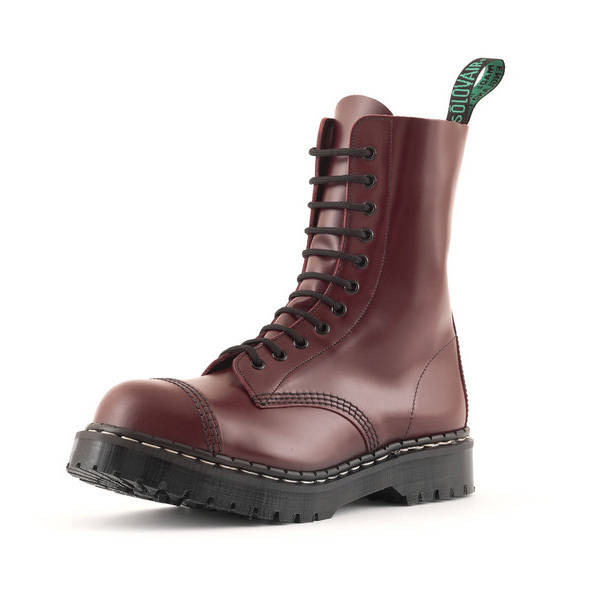 Solovair enjoys a loyal following from those seeking British-made boots and shoes, and look to NPS and Solovair as one of the few remaining sources of true English craftsmanship in footwear.